Are you scheduled to have your boiler or furnace serviced? Does your system vent through your chimney? 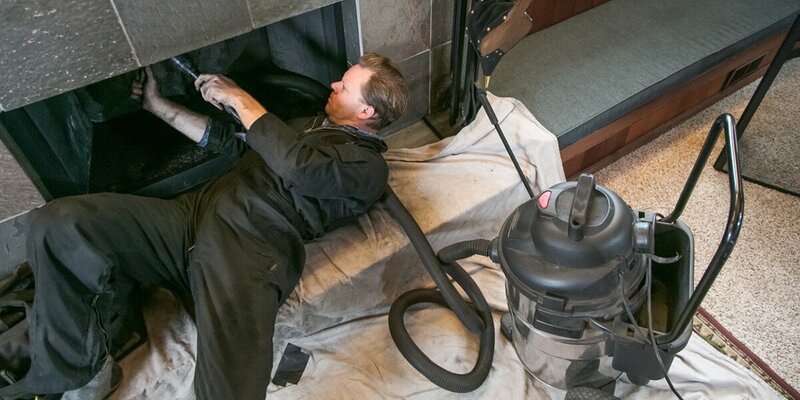 When’s the last time you had the chimney cleaned? If it’s been a while you might want to get that seen to first. It’s recommended that a chimney is inspected, and possibly cleaned, at least once a year. If left too long creosote can build up and increase the chances of a chimney fire. But why should you get it done before your boiler or furnace service? Because when our technician services your boiler or furnace, one of the steps is to set the burner to the correct temperature for the flue. If the flue is narrow the burn temperature will be set lower; if the flue is wide the burn temperature will be set higher. If you haven’t had your chimney cleaned in awhile chances are the flue will be somewhat clogged and thus the opening will be reduced. Narrow flue: low-temperature burner. But after you have it cleaned, the flue will be wider. And, if the flue is wider, the burner needs to be adjusted to run at a higher temperature. If a burner is set too low for a chimney flue there will be a poor draft and you’ll burn more fuel to keep your house warm. While, setting the burner temperature to suit the flue is not a problem, if the flue is altered after the technician has visited it will affect the draw and the burner temperature will need to be altered. If you can get the chimney cleaned ahead of your service appointment that works best for everyone, but if it’s done afterwards, that’s OK, just call our service department and we’ll be happy to schedule a return visit so the technician can adjust the burn temperature. Just call us at 603.403.9919.